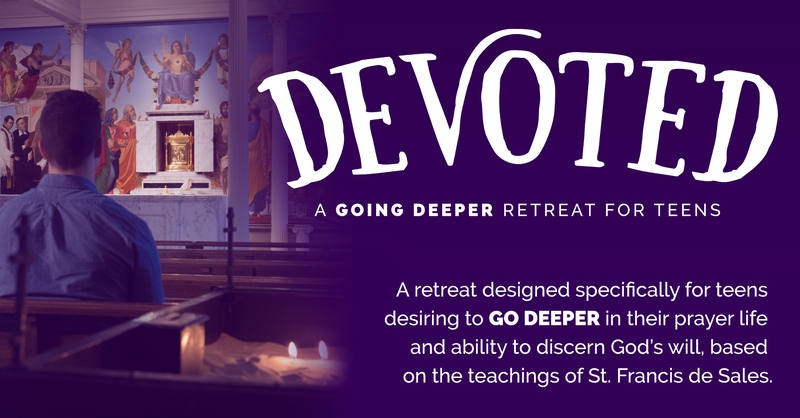 Going deeper is a retreat for youth who are actively involved in their parish or have participated in other retreats and events and who have a fervor to grow in the faith. The hope is that participants will experience a much deeper understanding of how to pray and how to know what God is desiring in their life. Further, participants will discover the beauty and practice of God’s heart speaking to yours each and every day. We will be spending time in silence and prayer and will have the opportunity to receive the Sacraments. This is not a Confirmation Retreat. October 11-13, 2019 – Location to be determined. 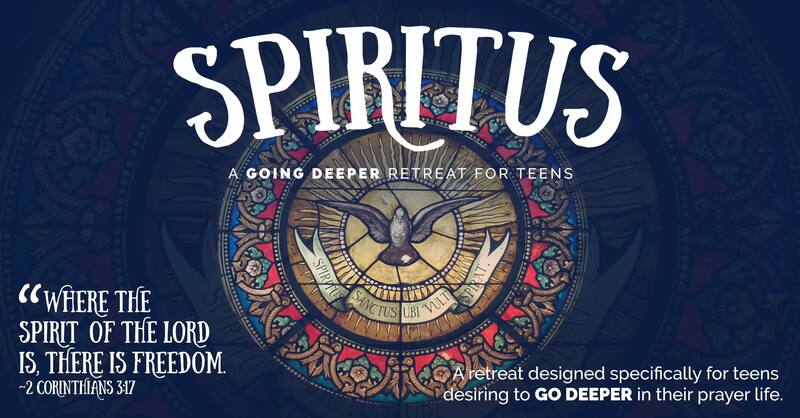 The retreat is open to youth in grades 9-12. However, youth in grades 9-10 are required to submit a completed Recommendation Form from their pastor that indicates that they are active in the parish and are not attending the retreat as part of their Confirmation requirements. These forms can be sent to Becca Ekeren at rekeren@sfcatholic.org. The cost for the retreat is $100. Registration will open August 1st, 2019. Check back in June 2019 for updated promotional materials.